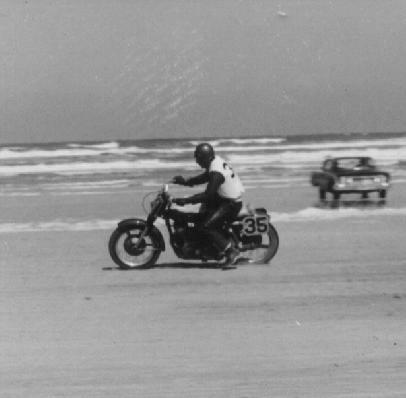 Robert Barker from Panama City FL at Daytona Beach race, H-D 45 #35, March 1960. Robert, coming off of south turn onto the beach. 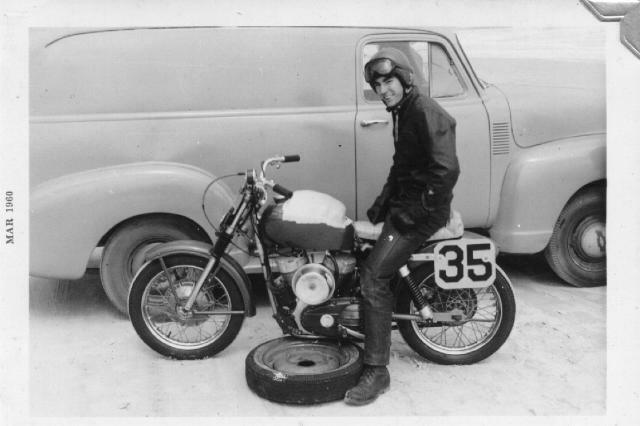 Ken Kusterman (brother-in-law) on a "K" model at a drag strip waiting to run. 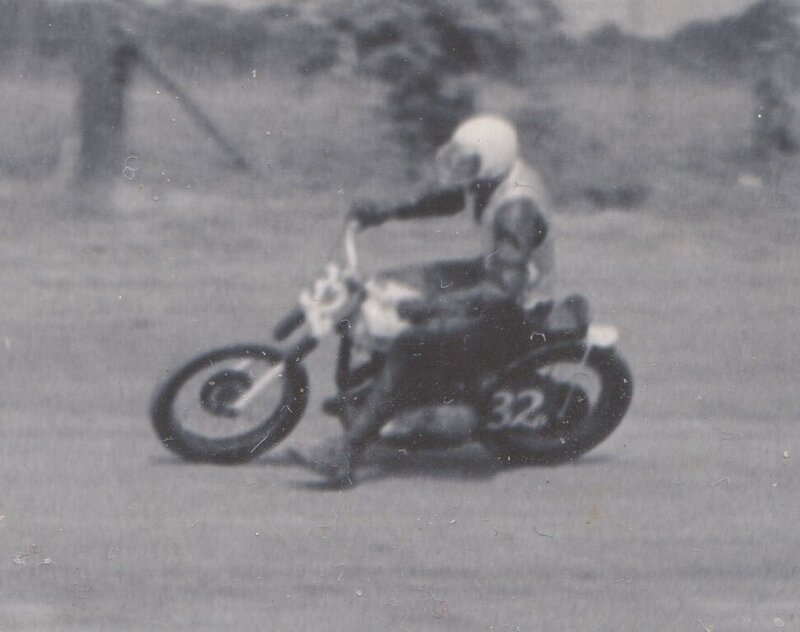 Me on a 500 Triumph going into turn 1 of a half mile track. Novice #32 D. The AMA point system when I started was 3 points for a 1st, 2 for a 2nd and 1 for a 3rd place. They changed the system to pay points back to 4th place. It took 20 points to advance from Novice to Amateur and 40 more to go to Expert class. The money (purse) was divided up with the Experts getting most of the purse and the Amateurs getting most of the remainder. You had to be in the top 3 in a Novice race to even pay for gas to get to a race. 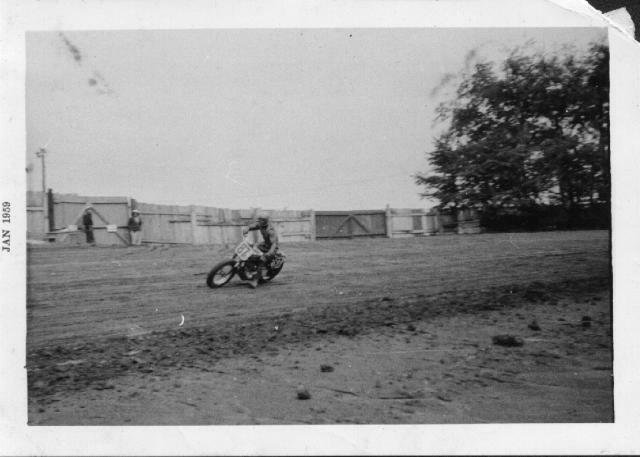 I kept a record of the places I made and even though I was not considered one of the "Hot Shoes" as they called a front runner, I did OK as a privateer and racing an older bike and weighed 210 lb. 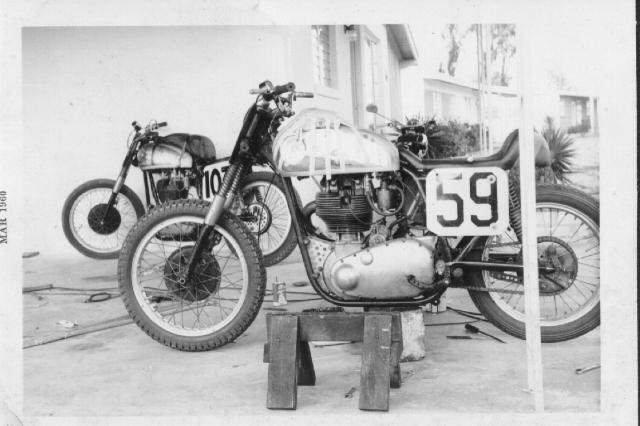 A new organization was started called USMC (United States Motorcycle Club) and they divided bike size for classes and at some races it was "run what you bring" and had not set a rider qualification class yet. They paid much better than the AMA. For example, I placed 2nd in an AMA race and was lucky to get $5 to $10. and I placed 6th in a USMC race and got $75. 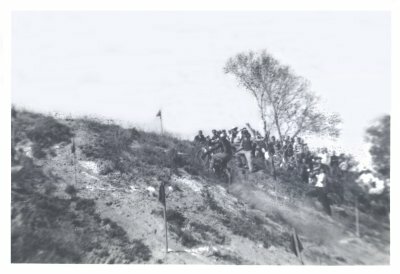 The AMA was very fearful of a new organization coming in and would not allow any AMA rider to race in USMC. This was against the law and the constitution of the US but they did it anyway. For some reason in the quirks of law it had to be taken to court in each state or by each person. 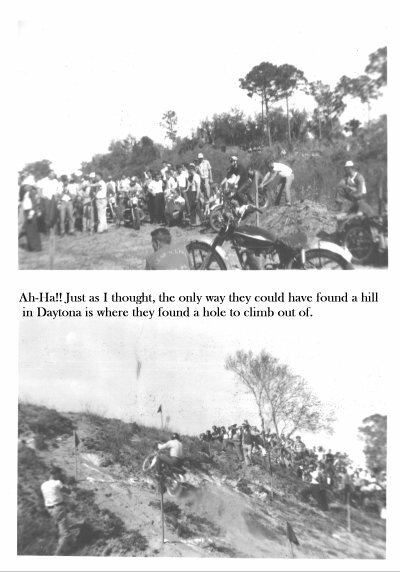 In those days most racers didn't have the money nor the inclination to push the issue. However, there were about 6 of us in Jax FL that decided to race both organizations. 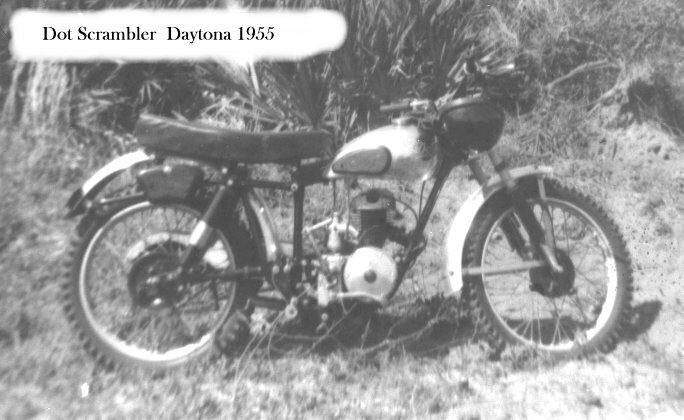 The AMA which was mainly controlled by H-D did a lot for motorcycling in this and other countries but were over zealous in their attempts to keep total control of all motorcycling in the US. Partly for good reasons and partly for greed and power. Several of us raced in USMC under assumed names and a few just used their own names. 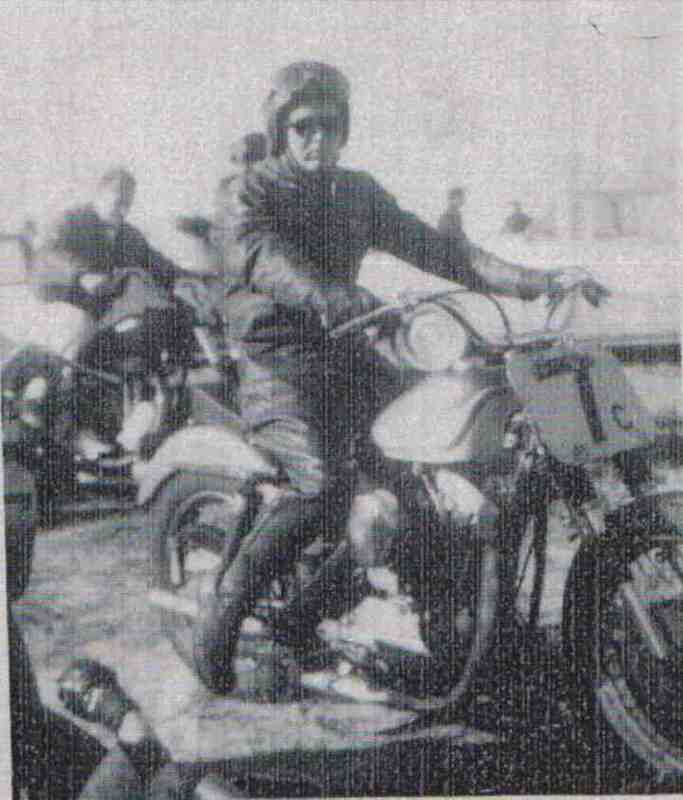 Tommy Morris was at one time in the top 10 experts in AMA in the US and was factory backed and he used his own name. The AMA was aware of this and supposedly fined Tommy $50. for entering a USMC race. I was not fined but the AMA didn't send me my new license at the beginning of the following year. I called and was told that to get the license I had to promise to "Play Ball" with the AMA and stop racing USMC or any so called "Outlaw" race. I agreed and got my license. 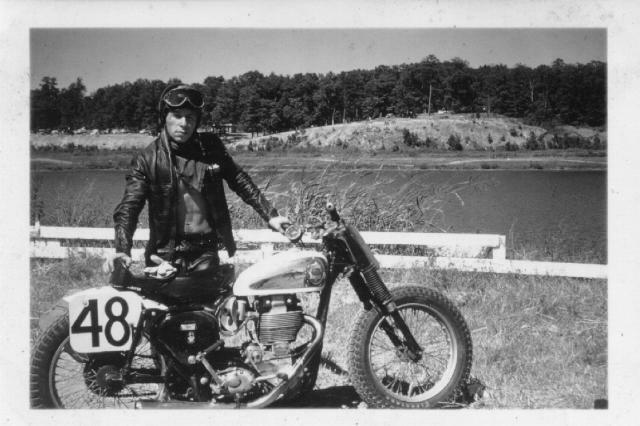 All of us knew the good the AMA had done for motorcycling and only raced in USMC because there just were not enough AMA races within our driving distance to race. In those days there were no expressways, it was 2 lane roads through towns all the way and NC, AL and TN were just about as far as we could go from FL and hold down a job. We learned to stay out of trouble with the law by following a tractor-trailer as they knew where they could go fast and where they couldn't. They also knew where to eat and where NOT to eat. At times we learned that the hard way.